This was my first foray into Haruki Murakami, the wildly popular fiction author from Japan. I had heard good things and bad things about his style before deciding to read this, with views from both sides of the spectrum. This book mostly takes place in the mind and thoughts of Tsukuru Tazaki, a 36 year old railway station engineer that was hurtfully shunned by his closest friends back when he was a teenager. Years later he still wonders (more like obsesses) over why he was cast out of his peer group. 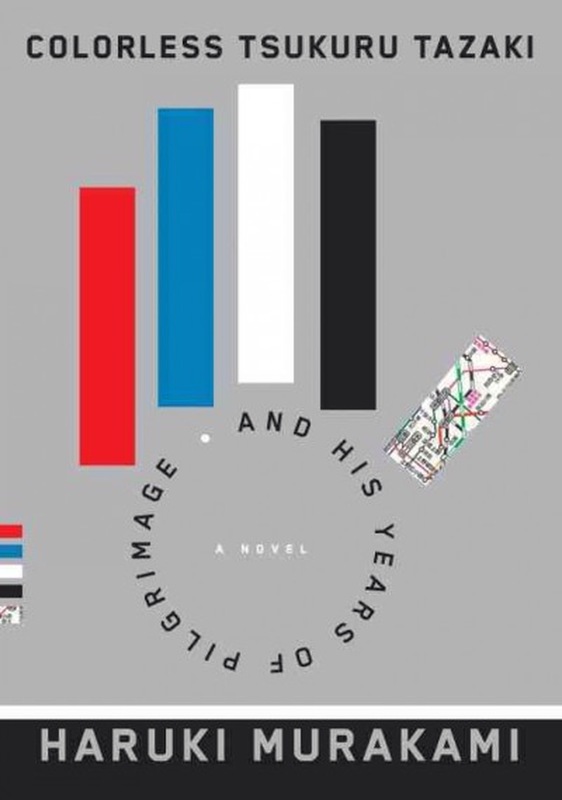 References to colors are brought up a lot in this book (each of his friends represent a color—red, blue, black, and white), except him, so he drifts throughout his adult life thinking of himself as ‘colorless,’ a nobody. After meeting a young woman who he develops intimate feels for, he eventually tracks down each of his former friends to find out what happened, and, once he finds answers, has the courage to begin living his life to the fullest. There’s a secret to this book. There is a plot, and yes things do happen, but honestly, not much really happens in this book. This is the story of a classic introvert, a serious study into Tsukuru’s psychological state of mind. I imagine that Murakami’s brooding, heavily introspective, “non plot” style of writing is the reason why “boring” gets thrown around a lot to describe Murakami’s work. I imagine that Murakami is somewhat an acquired taste, with time you become accustomed to his style and the topics he explores. People who love to sit in the dark by themselves will like this book. There really isn’t the ‘crash’ and ‘bang’ of typical story themes. Personally, I loved this book. I never once got bored with Tsukuru, because Murakami masters the task of making the most boring and mundane of thoughts into something extraordinary. I liken this book to listening to jazz music–there will always be those who can dig a good jazz song and those who don’t. To a non jazz listener, the lack of words is a problem. But to a seasoned ear, the instrumentation of a good jazz song provides all the words you need and more. Looking forward to more books from this author, I’m hooked!